When life becomes monotonous, don’t sit around twiddling your thumbs waiting on fun to fall from the sky. A more proactive approach lies at your fingertips. 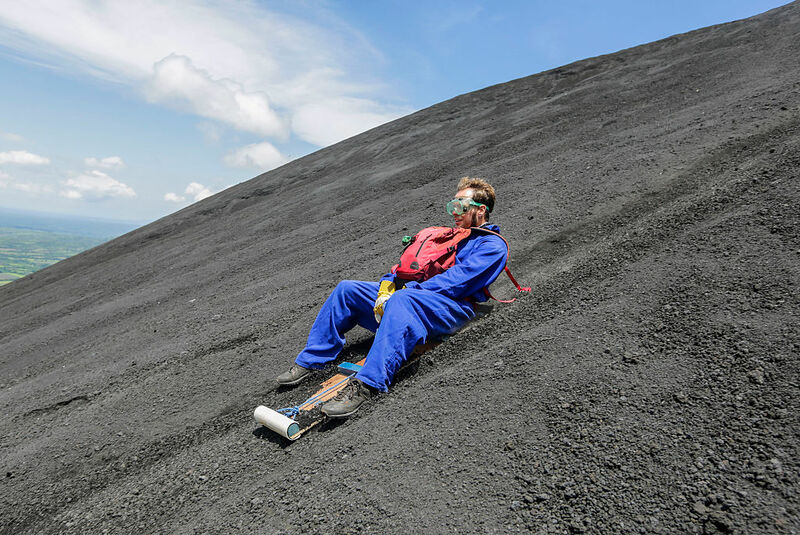 Yes, we’re talking about the internet, which yielded this video of a brave person sledding down a volcano, aka, one of those things every girl should do on vacation but maybe won’t due to the extremely thin line between exhilarating fun and being terrified AF. Since volcanoes frequently do this little thing called ERUPTING, this odd-yet-thrilling idea of a good time seems pretty risky. If you’re more into Disney’s new volcano roller coaster than the thought of sledding towards an opening that leads to Earth’s bowels, we feel you. But you *might* be tempted to change your stance after watching this thrill seeker’s incredible ride. OMG that looks like a TON of fun, does it not? Now we know some of you are shaking in your boots. We hear you loud and clear: The closest you’re coming to a volcano is shopping online for products from the volcanic skin care trend. It’s cool, though! While you’re snapping pics to show off your lava-inspired makeup on Instagram, we’ll be on top of a volcano preparing to take the coolest vacation selfie ever. (We think).